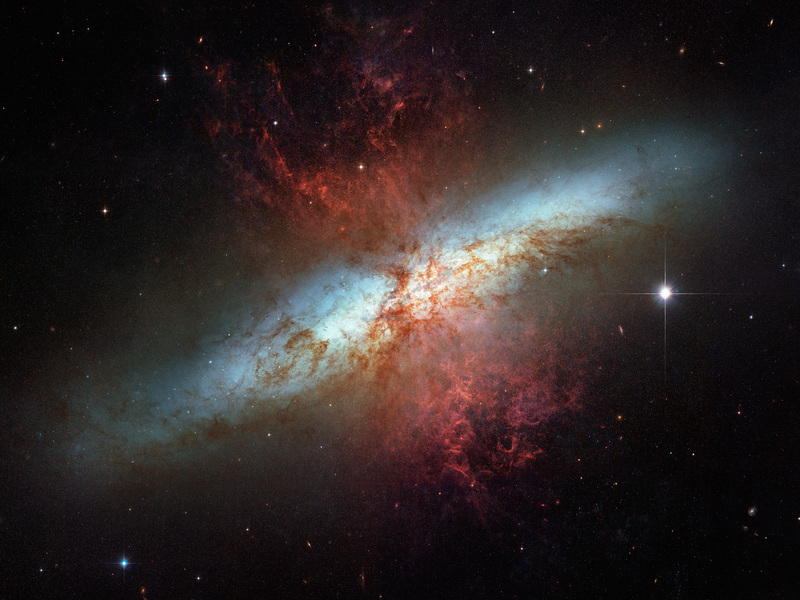 This mosaic image of the magnificent starburst galaxy, Messier 82 (M82) is the sharpest wide-angle view ever obtained of M82. It is a galaxy remarkable for its webs of shredded clouds and flame-like plumes of glowing hydrogen blasting out from its central regions where young stars are being born 10 times faster than they are inside in our Milky Way Galaxy. 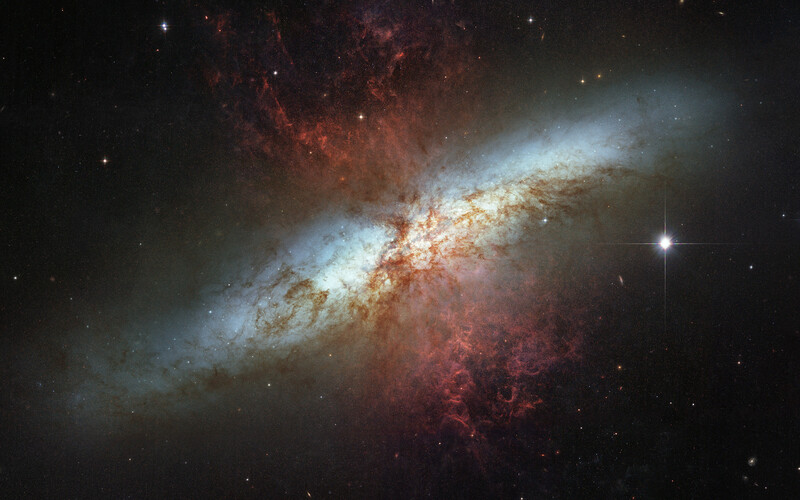 NASA, ESA and the Hubble Heritage Team (STScI/AURA). Acknowledgment: J. Gallagher (University of Wisconsin), M. Mountain (STScI) and P. Puxley (NSF). Position (Dec): 69° 40' 54.17"